Hello my lovelies! Today new Style Icon post; have you ever heard of Elena Perminova? 26 years old, Russian model, socialite, wife of the Russian billionaire Alexander Lebedev, Miroslava and Uliana's friend, mother of two kids, blonde, tall and luxurious Fashion Shows's looks. Buongiorno! 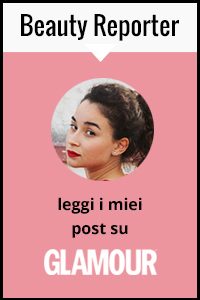 Oggi nuovo Style Icon post; avete mai sentito parlare di Elena Perminova? 26 anni, modella e socialite russa, moglie del richissimo russo Alexander Lebedev, amica di Miroslava e Uliana, madre di due bambini, alta, bionda e costosissimi looks da passerella. she is totally awesome !!! Me encanta que gran selección. Wauw. Her style is really awesome! Love it. La trovo bellissima!e mi piace molto il suo stile! What a great style ! She is truly amazing! love the first pic jacket! She is completely amazing! I love her style so much! It would mean the world to me if you & your followers could check out my blog! It would be awesome! Let me know doll! I am one of your new followers on facebook! Really interesting post!. Hope you can visit my blog too!! I love your blog! so classy! She's such a style icon. What she wears is not really my kind of style, but I do think it's gorgeous. I love Elena, apart from being gorgeous she has great style!!! I posted a recent outfit of hers in my blog...If you have time maybe you can visit mine! Awww she's gorgeous and I love her style!! And I like your blog. We've already followed each other on bloglovin but I have a new domain no. maybe follow each other again? I really love your blog so much! Thumbs up for this post! :) maybe we could follow each other on Bloglovin and/or GFC, Facebook?